NOTE: You don't have to ask permission to show "Sita Sings the Blues". You can just show it! People often ask "Are TV rights available? ", "Are theatrical rights available? ", etc. The answer is yes, yes, and yes. You already have those rights. 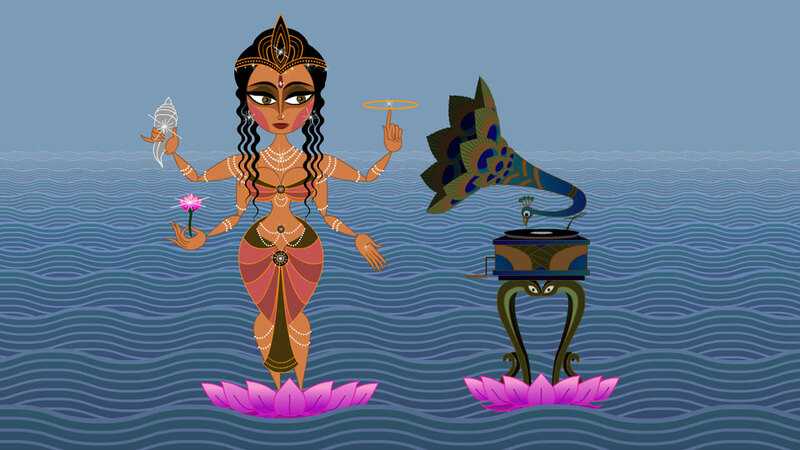 Sita Sings the Blues uses a yes-based distribution model. It is not part of the permission culture, it is part of the yes culture. So if you'd like hold a screening, don't ask first — just do it. (And see here for how to add it to this page). See the license page for more information about Sita Sings the Blues' permissive licensing. Copy and paste the above list with filled in values and email it to us at sitacalendar@questioncopyright.org. Broadcasters! Yes, you're free to broadcast Sita too. PBS affiliates are 100% safe from the old song licensors. Others please observe restrictive song licenses. GET IT ON YOUR LOCAL PBS STATION! Screenings in these territories not arranged through these distributors, while still legal, are not endorsed by me. Want Sita Sings the Blues to play in your community? You are free to organize a screening. You don't need permission, but we'd love it if you posted the time, date and location on our shows page. Can I charge for tickets? Yes. Set your own price. Or you can charge nothing at all. How do you get money from this? If you rent a 35mm print from an endorsed distributor, they will share some of that money with me. If you buy a 35mm print from me, I keep the profit (I mark them up). Other than that, I only make money if the screening organizers share it with me. Are exhibitors required to share money with you? No, but I'd love it if you sent me a donation. You are free to share or not share. You can also screen Sita Sings the Blues to raise money for another cause. Showing the film to others benefits me indirectly, even when there's no direct financial gain. How do I set up a Creator Endorsed screening? Will you make a personal video greeting for my audience? Rarely, because it's a lot of work. But please see the endorsed screening guidelines for how to persuade me to do it. Are there other ways a screening share money with you? Yes. Print direct donation cards and distribute them to audience members. Or pass a hat, explain it's the only money I'll get from the screening, and send the collection to me. What kind of revenue sharing is standard in the industry? *Those numbers can add up to nothing in the case of some small filmmakers, because distributor expenses can eclipse filmmaker revenue. In the case of distributors that produce their own films (a consequence of media consolidation), there's usually no filmmaker participation in revenues at all. How should I promote my screening? Free if possible. Ads are expensive; word-of-mouth is free. You can promote your screening for free on this web site by simply listing it. Please download and print posters which you can modify with your screening information. Tell your email lists, post it on your bulletin boards, tell your local radio stations and newspapers. Modify and send out this press release. If you want to run paid ads in newspapers, we have some standard versions here. If you're doing an endorsed screening, you can show the audience this video of Nina welcoming them and explaining how endorsement works. If it's not an endorsed screening, you can still have Nina welcome them with this video greeting for generic screenings. 35mm film remains the Rolls Royce of screening formats. Our 35mm prints include Dolby 5:1 surround sound, expertly mixed by sound designer Greg Sextro - it makes a difference. Most cinemas rent prints from distributors. Distributors currently carrying Sita Sings the Blues 35mm prints are: Shadow Distribution and GKIDS. You can also buy a Sita Sings the Blues 35mm print directly from me. HDcam often looks better than 35mm film, but it doesn't have surround sound, only stereo. You can download the Sita Sings the Blues HD files and have an HD tape made. This can be expensive - most service bureaus charge $600 or more. Or you can rent an HDcam tape from a distributor. Or you can buy an HDcam tape from us. DVD is a low quality screening format, but DVD players can be found almost everywhere which makes it most convenient. You can download the Sita Sings the Blues DVD file, burn it onto a DVD, and screen that. Or buy one of our handsomely packaged pre-downloaded DVDs. If you can attach a computer with a strong video processor to your digital projector, you may be able to achieve better projection quality than DVD. Download the HD files or buy them on a hard drive from us. Copy the HD file to your computer's internal hard drive. Test the movie in a media player like VLC or Quicktime. Every system is different, and this method requires a lot of trial and error. If you're not sure of what you're doing, go with a more reliable screening method.